Moderator Alex Trebek speaks during a gubernatorial debate between Democratic Gov. Tom Wolf and Republican Scott Wagner in Hershey , Pa., Monday, Oct. 1, 2018. The debate was hosted by the Pennsylvania Chamber of Business and Industry. It's hard to decisively win a 45-minute gubernatorial debate: There's simply not enough time to make key points and thoroughly own the issues. But you can certainly lose the debate, especially if you're the moderator. That's what happened Monday night at the Hershey Lodge, when Jeopardy! host Alex Trebek made a guest appearance as celebrity moderator of Pennsylvania's one and only debate between Gov. Wolf, a Democrat, and Republican Scott Wagner. The debate started late as Trebek lingered on stage during a "fireside chat" with Gene Barr, president of the state Chamber of Business and Industry, which hosted the event. Then, when the main event finally came, the game-show host filibustered and monopolized the whole thing — which seemed fine to the front-runner Wolf but cut into Wagner's attempt to capitalize on a statewide audience for the lone debate. Trebek abandoned a veneer of impartiality when it came to whether Pennsylvania should impose a severance tax on natural gas drilling. Wolf has pushed the tax since he took office in 2015, but the GOP-led legislature has blocked his efforts. Wagner and other Republicans note that Pennsylvania already imposes an "impact fee" on drillers. Wagner marshaled that argument Monday, but Trebek suggested it wasn't enough. That was a remarkably unpopular opinion to push to the Chamber of Business and Industry crowd, which responded with boos. "What did I tell you guys at the beginning?" Trebek said (his one rule: no booing or hissing). "If all of the voters were to believe everything you've said about each other, we'd have trouble voting for either one of you," Trebek told the candidates. Fair enough — voters often say they're sick of attack ads. But Trebek came across as moralizing, and it's not clear why his opinion should matter to Pennsylvania voters. At one point, Trebek asked: "Have you ever said anything negative about your opponent that you knew was not true?" Wagner shook his head no, and Wolf offered a lawyerlike equivocation: "Not that I remember, no." Trebek began to frame a question about redistricting, noting that the legislature had made scores of amendments to a reform bill and suggesting lawmakers had no interest in actually changing the process. Then he said the only institution less popular in the Keystone State than the legislature was the Catholic Church, which, of course, has been under fire since a grand jury in August reported decades of abuse by predator priests. The audience seemed to let out an audible cringe. 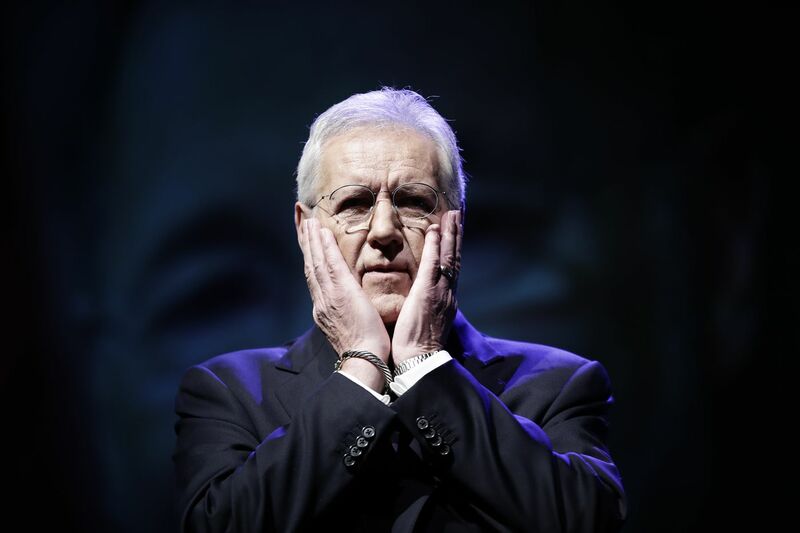 "Don't go there," Trebek said, before launching into a soliloquy about his time at a Catholic boarding school. As Trebek moved on, Wolf interjected, to laughter, "I don't think you quite finished on the redistricting." The Pennsylvania Cable Network is not the place for this. If you watch PCN, you're expecting the sometimes dry and technical but important details of state government policy debate. Callers to a post-debate review show were aghast at Trebek's performance, no matter which gubernatorial candidate they supported.